3. Don’t forget to place a stamp on the enclosed envelope. 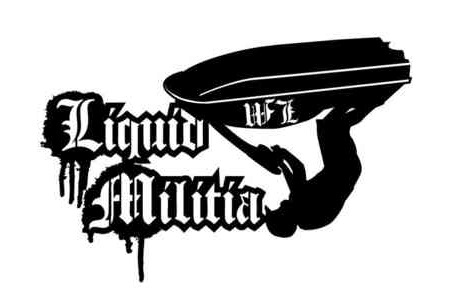 For full details and to learn more about Liquid Militia, click on the link below. If you are not sure what a (SASE) Self Addressed Stamped Envelope is well then I’ll tell you. You will send (us) Liquid Militia an envelope and inside that envelope you will put another envelope with your first and last name, your address, and a stamp on it. So all we have to do is fill that baby up with stickers and send it back to you. * Free sticker request can take up to 30 days for you to receive them from us from the date we receive them. We receive a lot of request so please give us some time to make them and get them sent back to you. We make all our stickers ourselves so just imagine how much work it is for us to do this for you for FREE! International request can take even longer for you to receive them.